Home » Disability and Parenting » The Battle Fatigue of Disability Parenting. 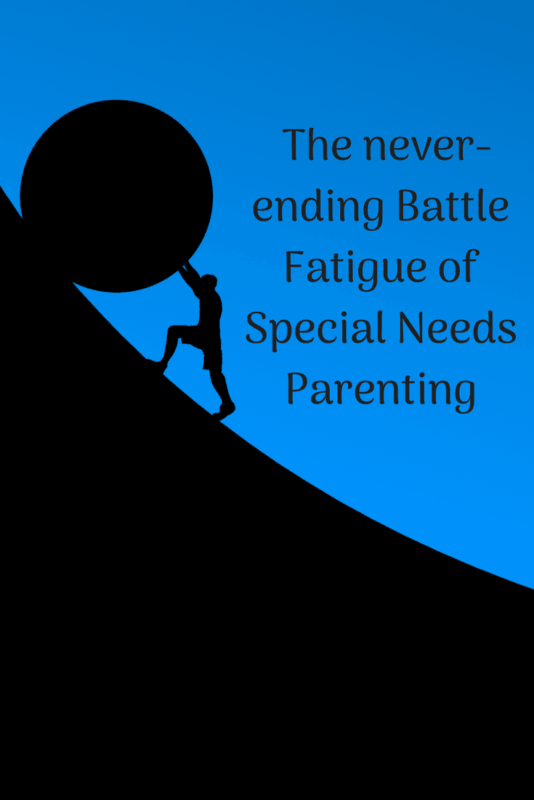 The Battle Fatigue of Special Needs Parenting. On Tuesday, when my son came home from school, his newly revised IEP was in his backpack. All 54 pages of it. And his FBA (12 pages) and PBSP (another 12 pages) and that doesn’t include the ER/RR, NOREP and other fun stuff. But basically I have 80 pages of documents to read and digest before our NOREP/PWN arrives. 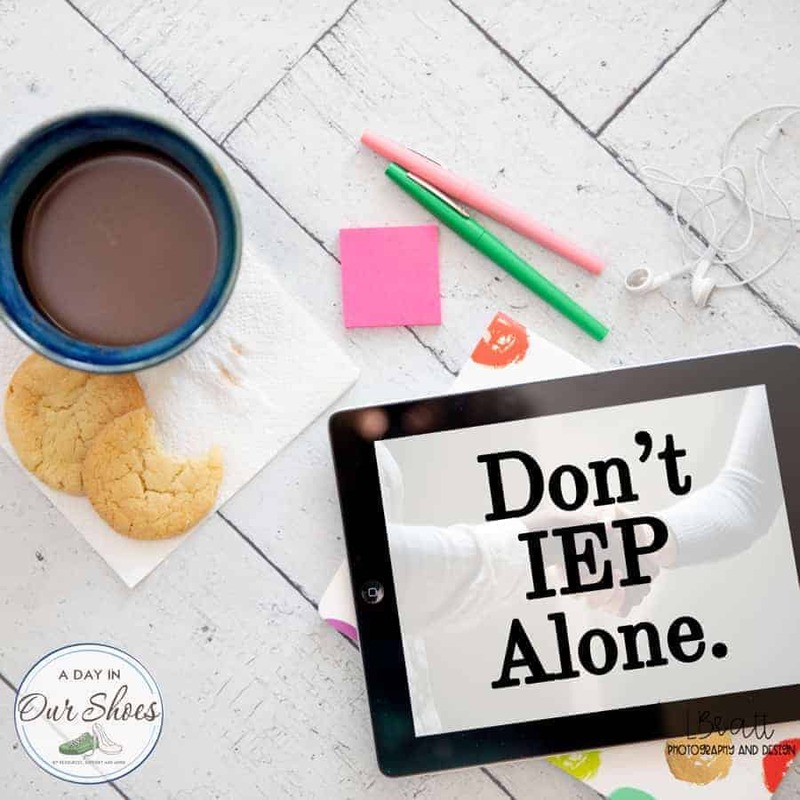 And we all know that IEPs and behavior plans aren’t exactly “light reading.” You have to be focused and pay attention as anyone who is parenting a child with disabilities will tell you. And that was Tuesday. Wednesday I picked him up from school early because we had a neurology appointment. We received the results of his 24-hour EEG and video study, which unfortunately was not good news. Every thing is now pointing to Lennox-Gastaut Syndrome which is never at the top of anyone’s wish list. So I spent Wednesday afternoon crying and much of Wednesday evening doing research on the web on how to best help him with this new diagnosis. Thursday I woke up feeling better. Kevin was home due to a dentist appointment. I am one of the lucky ones. My child’s autistic behaviors do not interfere too much with a dentist visit. For some it’s intolerable. While we were there, wrangling the insurance issues took longer than the actual dentist visit and cleaning. For some reason, despite doing this for over 5 years, my insurance companies still struggle with giving us access to 4 cleanings a year, which is what he NEEDS. Yes, I know most people get 2x a year. However, he has disabilities which include feeding issues. Which means that for proper dental health, he needs 4 cleanings a year. See also: A special needs mom’s distorted sense of wonder. As it turned out, even though we cleared up all the insurance issues, the pharmacy did not have the one item in stock. So I have to go back today or tomorrow to get it. Another errand. Today I got a text from a friend that asked how I was doing. I said “meh” in the text back. But the real answer….“I’m battle fatigued.” And not sure how much more I can pile on. Have I mentioned that it’s now been 3 days and I have not yet looked at the new IEP? Thank goodness that I am in a good place with his IEP team. I can only imagine how much my stress would be amplified if this was an IEP in conflict, like the millions of parents who are experiencing that. So that is on today’s agenda, along with more calls to the insurance company to get approval for some second opinions and to try to find a hotel room for under $200 when we get that second opinion. I also have to call and get all of his medical records, then get copies, then get the addresses of the second opinion office and get them sent off. Did I mention that the one second opinion I want is $700, and they don’t take insurance? I don’t even mind being my son’s case manager most days. It’s the hassle at the other end that is completely exhausting. All this, after several sleepless nights because you’re just worrying about your child staying alive. A battle on every front. Every time I turn around, there is something. Nothing is easy. Doctors, insurance companies, providers, schools, it never ends. I’ve had a good run for a while, so I guess I was due. But it’s only going to get worse, at least in the temporary. Our medicaid renewal is due and I’ll be denied, because I’m denied every time. He qualifies, but they deny. I appeal, they approve. EVERY.SINGLE.YEAR. And, he needs a new car seat, they are expensive, so the insurance company will deny. Because they also work on the culture of NO. His BMI and now weight is dropping, so that will mean more insurance battles as I search for solutions. It.Never.Ends. You all know that I’m not a “why me?” complainer. But does everything single thing have to be a fight? I experienced a type of emotional bleeding that occurs when a parent truly understands and accepts their child’s medical fragility and vulnerability. It is a sobering awareness, an in-your-face understanding of a harsh and unthinkable reality. Moms of kids with disabilities can suffer many of the same conditions as combat soldiers. And it’s really no wonder. I mean, look at all the battles we have to fight, each and every day. A New Battle every time we turn around. My son is such a wonderful child. Aside from the seizures, I wouldn’t change a single thing about him. He’s beautiful just the way he is. He doesn’t cause the problems. It’s the constant push-back from the other end of the phone, counter or email. It’s the constant battles, every time you turn around, that exhausts me. And I consider myself one of the fortunate ones. I have a good support network and I only have one child with disabilities. Many parents have these burdens and also divorce/custody battles, live in poverty, have more than one child with disabilities or even their own disabilities. Related, also read Ableism: Why autism moms need to stop doing stuff like this. So, 1000 words in, do I have a point? I don’t know. I would like you, other parents like me, to read this, nod and agree with me. Some days, we just need that validation. I’m not going to post a list of “10 things you can do to alleviate stress.” Because well, just not in the mood and it would feel fake and futile. Yeah, yeah, I can go get a massage, take a walk, whatever. Those won’t work right now. Because what I truly want is for Kevin’s seizures to be under control. I know that one of my mantras is “focus on what you can control” but that’s not working for me today. Because seizures just take it to a whole ‘nother level. This has to change. We can’t keep up this pace much longer. I don’t have a neat and clean ending to this brain dump, so I’m just going to end it here. Related, also read: Well-intended Autism Awareness Materials that are actually ableist. « Can parents observe the classroom? For IEP reasons?